Elsie Moody grew up in Los Angeles and always wanted to be in the entertainment industry. So, it’s no surprise her debut romance novel Buzzworthy takes place in glamorous and gossip-hungry Hollywood. For anyone who has fantasized about dating their celebrity crush (Gerard Butler, I’m still waiting. Anytime now. ), Buzzworthy is the book for you. In Buzzworthy, Kate Ferris is an entertainment reporter who is taken aback when Hollywood’s #1 heartthrob, Nick Archer, takes an interest in her. But Kate has rules. Never date an actor. And Nick has secrets, which the investigative reporter in Kate can’t resist. Now the tables have turned and it’s Novel2Screen getting to interview the interviewer! Chris: Buzzworthy is your first Romance. What romance books are you a fan of? Elsie: I love Nalini Singh’s books and admire how she’s able to write in a variety of subcategories, from paranormal to contemporary. I’m also a total sucker for Hallmark Channel romances. They’re cheesy and formulaic, but I love them so, especially the holiday ones. Chris: What inspired the tale of Kate and Nick? 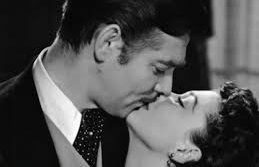 Elsie: When I decided I wanted to try writing fiction I stuck to the old adage “write what you know.” Since I came from the world of Hollywood journalism, I thought I could write a romance using it as a backdrop without doing too much research. The first thing that came to mind was this idea of a hot, famous movie star hitting on a reporter at a junket. But in a cute, flirty way, not in a creepy way. It all kind of took off from there. Chris: That makes sense as the opening press junket feels authentic. So, how much research did you do for Buzzworthy? Elsie: Almost none! I drew on my own experiences for those scenes. The actress Kate interviews early on is based on a real encounter I had at a junket (I won’t say who). Same with the word game the crew plays with Nick. That was an actual conversation I overheard once. I honestly can’t remember what the word or phrase was at the time, though. I made up “artichoke” because I think it’s a funny word. Chris: Did you have a particular character you enjoyed writing more? Elsie: Obviously, I identify with Kate a lot. I love Nick too. But as I was writing, I started to enjoy Kate’s best friend, Madison, more and more. She just showed up and demanded more screen time, so to speak. Now I want to write a badass F/F romance for her where she gets a girlfriend and together they totally eviscerate some Hollywood establishment types. Maybe that’s just because of what’s been going on in the news lately. Chris: I’ve read a few romances here and there. With Buzzworthy I was impressed by was the depth of your characters and the substance the story has. What do you think makes Buzzworthy stand out among romances? Elsie: There’s a lot more depth in the romance genre than people think, but there are a lot of conventions and tropes too. For instance, the “bad boy” billionaire who falls for the seemingly ordinary heroine and vows to change his man-whore ways for her. I didn’t want Nick to be someone for Kate to tame. Instead, I tried to make him a three-dimensional character with secrets in his past that have made him guarded. He has an ulterior motive for pursuing Kate, but he’s not even fully conscious of it until the end. There’s no love-hate relationship or instant love at first sight. The downside to that is those conventions exist for a reason, and that’s because a lot of romance readers really like them. So when you stray from the usual you run the risk of disappointing people. Or worse, boring them. It was important for me to keep the plot believable and the actions of the characters grounded in emotional reality. I think if you can get the reader to connect with the characters, they’ll come with you wherever you take them. Chris: Buzzworthy has a plot twist (which I won’t give away!) where one character as her rights and privacy violated. Considering your novel takes place in Hollywood, what are your opinions on the sexual misconduct allegations flooding our news today? Elsie: The timing was terrible, as I’d been writing the book for a while when the allegations about Harvey Weinstein started the snowball rolling down the hill. I was doing edits and it was almost like I couldn’t go a day without hearing about another accusation of sexual harassment in Hollywood (and elsewhere too). It was disturbing, to say the least, and it made it hard to concentrate on the book. I saw a clip of an interview with Uma Thurman where she was asked what she thought about it and she said she was too angry to say anything coherent at the time. But you could see she was absolutely seething inside. I totally identified with that. I mean, let’s face it, this has been going on since the early days of Hollywood. We’re only just starting to hear about it now. The silver lining in all this is that the more survivors come forward, the more others will feel brave enough to stand up and tell their own stories. Fear of consequences, not for speaking out but for committing the actions in the first place, is the only thing that’s going to change this behavior in the future. And like I said, it makes me want to write a book about militant lesbian publicists taking on the establishment from the inside. Chris: I think we definitely need that story! Madison is too much fun to keep as a secondary character for long. You had mentioned to me before the interview that you set Buzzworthy aside for a while to deal with some personal matters. What led you back to these characters and their story after so long? Elsie: Great question. Yes, there was a period where I stopped writing entirely, and didn’t even open the file for about a year. But once I’d removed myself from the circumstances that were blocking my creativity, I started feeling it come back to me, little by little. I missed it. I missed the characters. It took some time to get back into it, but I pushed through it and finally finished. I made a promise to myself that I would complete the first draft by my birthday, which was about a month away at the time, and I did. That goal gave me something to shoot for, and helped get me back in the habit of writing every day. Elsie: That fame isn’t all it’s made out to be. That you may think you know someone because you’ve seen them on a movie or TV screen, but that celebrity you follow is really just a stranger with a familiar face. In a weird way, it kind of ties into all these sexual harassment scandals going on. We’re finding out things about celebrities and who they are as people we really didn’t want to know. It’s a sober reminder that public personas are a carefully crafted illusion. Chris: Since we’re all about adaptations here at Novel2Screen, if Buzzworthy were to be adapted who is your casting dream for Nick? Elsie: Ooh, that’s a tough one. I didn’t have anyone in particular in mind. I’ll say that Nick’s career trajectory is based somewhat on Ryan Gosling’s. [Nick’s] breakout role was in a sappy romantic movie called The Carriage House, which is basically The Notebook. But I didn’t picture him looking anything like Ryan Gosling. The basic aesthetic would be brown hair, brown eyes and a classic Hollywood screen-idol look. If some casting director wanted to think outside the box and cast a hot guy of color in the part, I wouldn’t object. Just as long as he had that killer Nick smile. Chris: The novel would lend itself easily to a feature romcom. Are you considering adapting it? Elsie: I’m glad you think so! If anyone asked me to, I wouldn’t say no. Chris: What new material can your readers look forward to? Elsie: I’m working on a romance featuring a heroine who’s an aspiring screenwriter, but it hasn’t been easy balancing that with doing promotion for Buzzworthy. I plan to set it in a shared universe, although they won’t be directly connected to each other. I also want to do something noir-ish set in vintage, post-WWII era Hollywood. It’s a mystery series with a cool private detective who’s a former actress. So much writing, so little time! Chris: And don’t forget Madison! We will also be looking forward to her story! You can grab your copy of Buzzworthy here and follow Elsie Moody on Twitter @MoodyAuthor and follow her blog. Follow Chris on Twitter @ACCooksonWriter and follow our blog! Read more interviews with authors, screenwriters, and actors here! I loved your cheekiness and it was a great interview. I grew up north of LA and also looked for that Melrose Place type apartment. Never got it, although I did briefly have a small spanish style bungalow…. i miss it still! I think the book sounds cute and I’ll definitely be taking a look at it, thanks! Thanks! I really appreciate it! Oh man, I tried so hard to snag one of those apartments in the Fairfax area. It had a turret. A TURRET! Alas, it didn’t happen. Hope you enjoy the book as much as I did. Thanks for following!